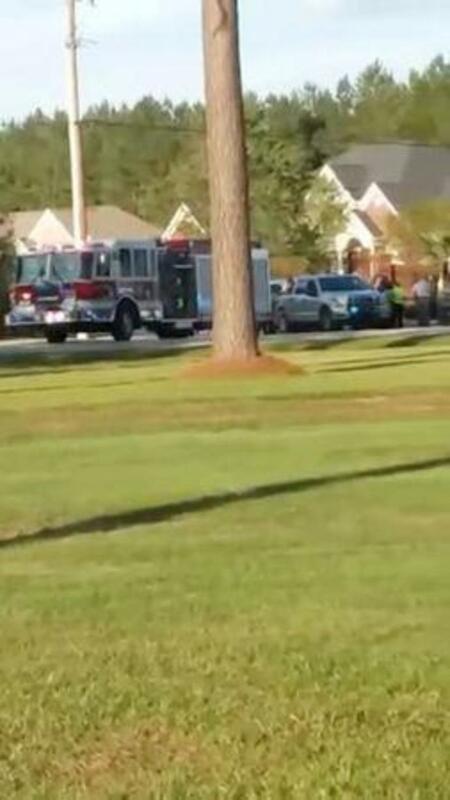 (Reuters) - Five law enforcement officers were shot, one of them fatally, near the city of Florence, South Carolina, on Wednesday, before a suspect was arrested, according to local media and emergency management authorities. No official details on the shooting were immediately available. But the Florence County Emergency Management Department said on Twitter that an "active shooting situation" reported in the area was "over and the suspect is in custody." The tweet advised members of the public to keep away from the crime scene in the residential subdivision known as Vintage Place, on the western edge of Florence. A person answering the telephone at the county emergency department said he was not at liberty to provide further details. Florence-based WPDE-TV, citing the Florence County Sheriff's Office, reported that three sheriff's deputies and two Florence city police officers were shot in the incident, and that one of the city officers had died. WMBF-TV, an NBC News affiliate, also reported that one of the five officers had been killed. The condition of the four other officers was unknown, local media outlets said. Florence, a city of about 38,000 people, is in the Pee Dee region of northeastern South Carolina that was drenched by heavy rains and flooding from Hurricane Florence last month. At least 100 law enforcement officers swarmed the area around the shooting, ABC News affiliate WPDE reported. "This is simply devastating news from Florence. The selfless acts of bravery from the men and women in law enforcement is real, just like the power of prayer is real," Governor Henry McMaster said on Twitter. NORTH CHARLESTON, S.C. (AP) - By now, most Democratic presidential candidates have polished their stump speeches. But when they're in South Carolina, they may need to add in a sermon.